Here by popular demand: the Dragon McStolly. This collar has caught the eye of quite a few of our customers. It started out as one customer's custom order, and now we've made quite a few of them. 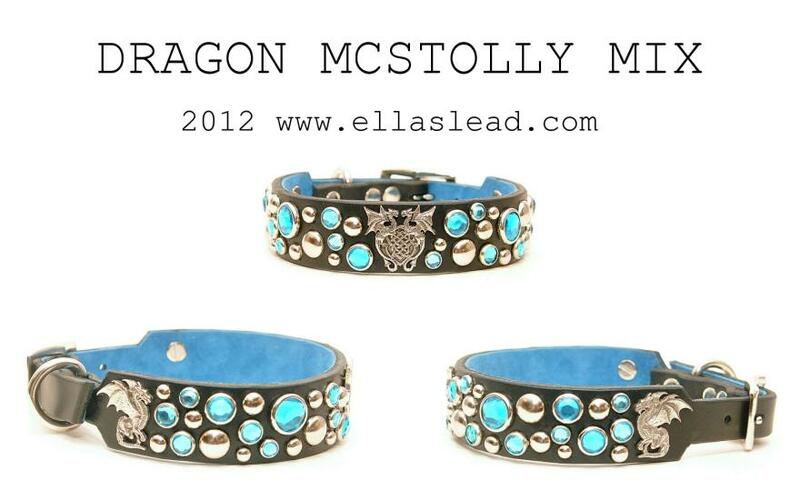 This is a gorgeous collar that has a center dragon crest and the ends are capped off by a left and right facing dragon. In between each concho is our popular McStolly Mix pattern. This collar must come in at least a 1.25" width to fit all three conchos on it. But we can taper the collar at the buckle area down to 3/4" for smaller dogs (French Bulldogs, Boston Terriers, JRTs, etc.). 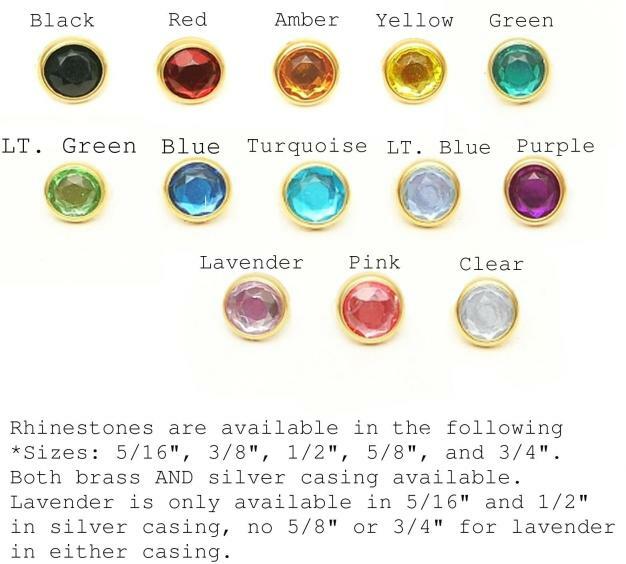 This collar will come with your choice of rhinestone color to have on the collar in various sizes. 7/24/2018 added the option for chain martingale. If you choose this option, make sure to note how to measure your dog's head here. Reminder that collars cannot be returned due to improper measuring/sizing. Thank you.